Free Printable Save The Date Postcards allow you to create your own personalized invitations that can be downloaded sent to your guests. 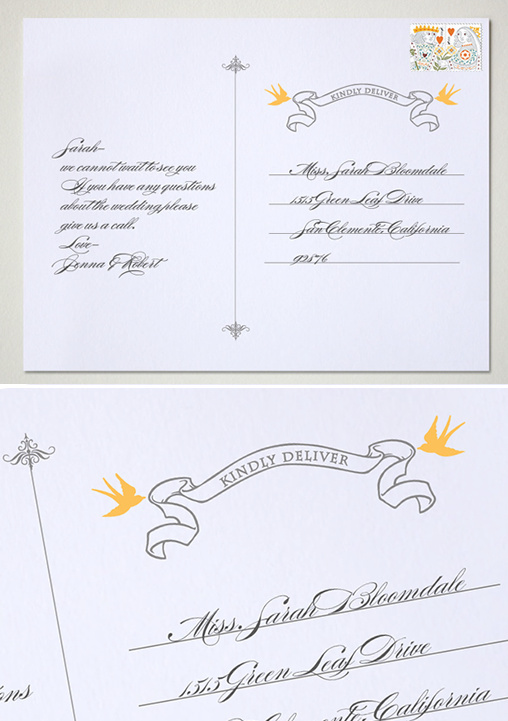 Fancy Free Printable Save The Date Postcards come in a gorgeous heather gray and butter yellow. They're Fancy Free! Download your Fancy Free Save the Date Postcards here. 1. 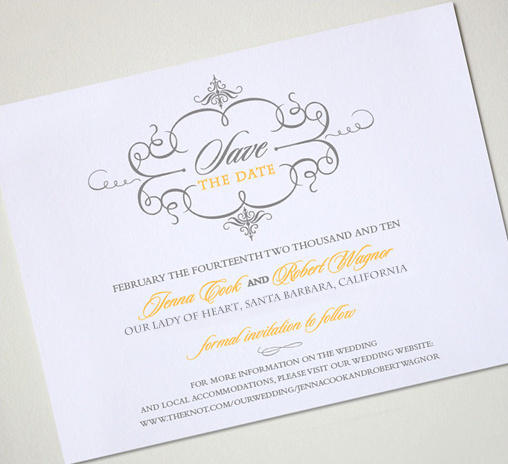 Download your Fancy Free Save the Date Postcards here. 2. This postcard is based off paper-source A-2 note cards. You can buy them here and we recommend superfine white, superfine soft white or eco white. Thye are $3.25 for a pack of 25. 3. Open up the pdf documents and print out the front, flip them around and put them back into your printer to print out the reverse side. 4. Open up your text editing document and type out all your goodies for the front of the card. We have provided a word document that you can simply open up and type in what you need and then print and voila you are done!